The school summer holidays have now arrived, and I am sitting here once again wondering how another year has gone past in what feels like the blink of an eye. It is certainly the case for me that a quote I heard a few years ago for the first time and many times since, “the days are long and the years are short” seems as true now as it has ever been. Launching Happy Families was, for me, something I had wanted to do for many years – having worked in a city consultancy job for many years I wanted to be able to seek better balance and control in mine and my family’s lives. Have I managed this? Well, certainly I would never look back, but nonetheless, I have just moved from one challenge to another. I began Happy Families at the start of October 2016, just 9 months ago. From a personal perspective, this has been a crazy few months, starting the business from nothing, welcoming Jessie and Steph on board to expand our geographical areas and, in the process, meeting and matching many and varied wonderful nannies and families. And amongst this, I am a mummy bringing up three young children and trying my hardest to be as involved in their lives as possible. Which is easier – my old City job or my new venture? Well, neither. They are just different. And speaking to many families who I have met during the time I have been running Happy Families, some of whom are families with two working parents, and some of whom aren’t, it has come home to me more than every before, that whatever decisions we make with respect to bringing up our families (working v not working, employed versus self employed, two parent families versus single parent families), most of us never really feel that we have quite enough time to do everything (or anything?!) as well as we would like. So, as we begin the summer, I shall be taking a bit of breathing space to enjoy the family during what may feel now like a long 6 weeks stretching ahead, but which I know I will look back in September and wonder where on earth it went. Happy Families will still be working and responsive, but we might need to say a rare “no” or, preferably “it can wait” to things (not something we do lightly!) 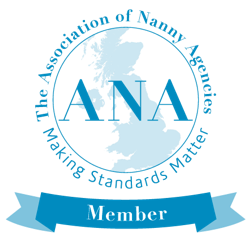 so that we come back in September refreshed and recharged and ready to tackle the next phase of Autumn nanny placements alongside the next school year. Whether you are a family or a nanny, I hope that you are also able to take a mental and physical break over the Summer. It really is important to all our wellbeing and ability to do the best we possibly can in whatever path we are taking. I wish you a wonderful and happy few weeks.